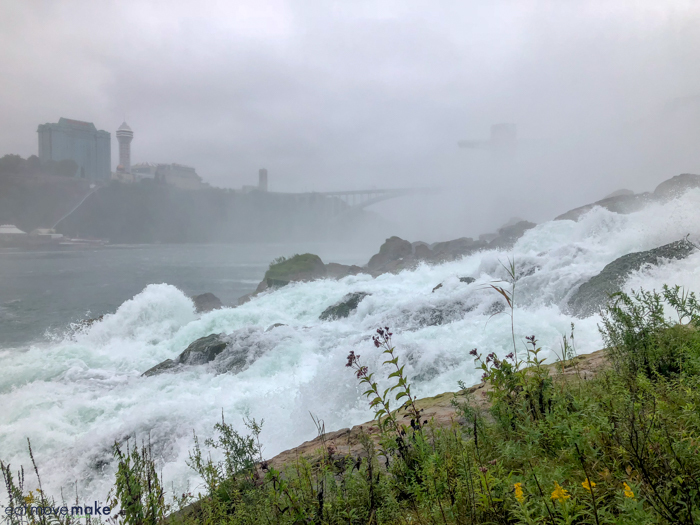 I happened to visit Niagara Falls State Park (the nation’s oldest state park and the inspiration for the National Park System) last fall right before Hurricane Florence was scheduled to hit the U.S. and the weather was bleak, wet and chilly. So the fact I absolutely LOVED my waterfall experiences and would repeat them all again in a heartbeat says a lot. 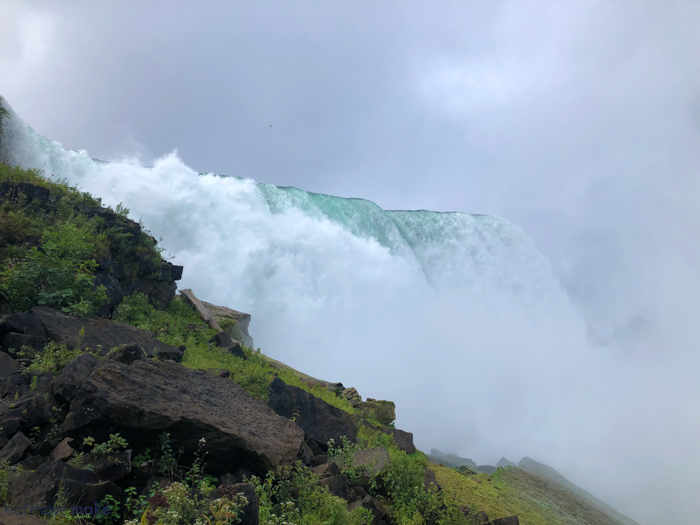 I went to Niagara Falls State Park with very, very little knowledge of what there was to do there. I knew there was an adventure pass combo ticket which would save me money if I wanted to do several attractions, so I bought that. But I had no idea what these attractions I was taking myself to really were. 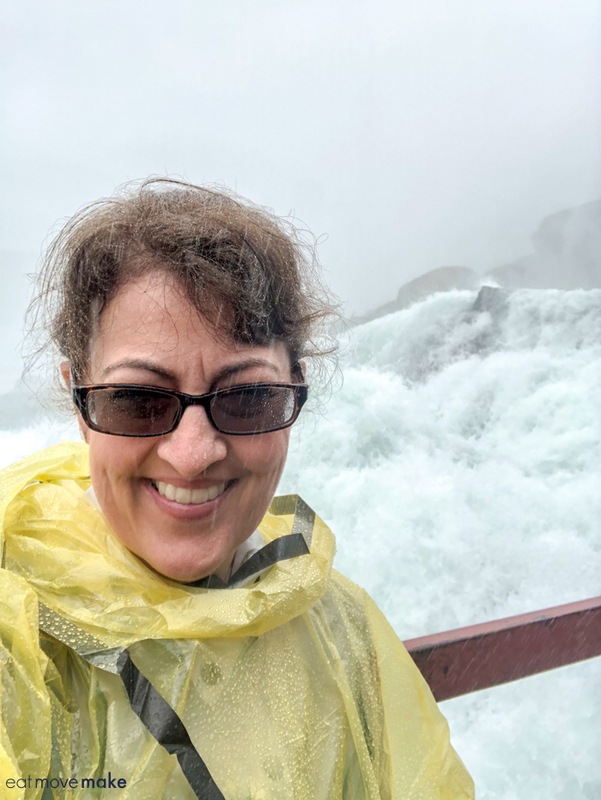 In short, I met Niagara Falls up close and personal through some wet and wild experiences. I loved every moment, and the admission price was worth every single penny I paid. 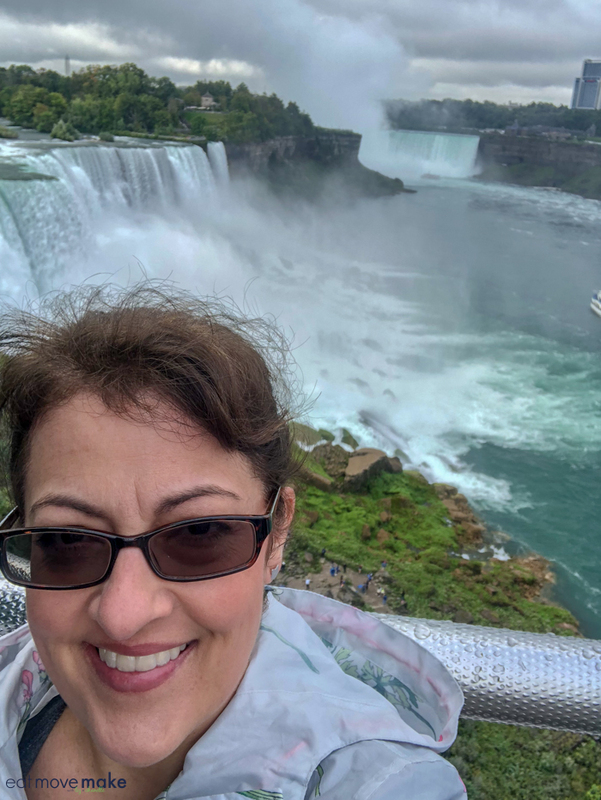 If I could only choose one Niagara Falls State Park experience, this would be it because you see all three of the Falls! 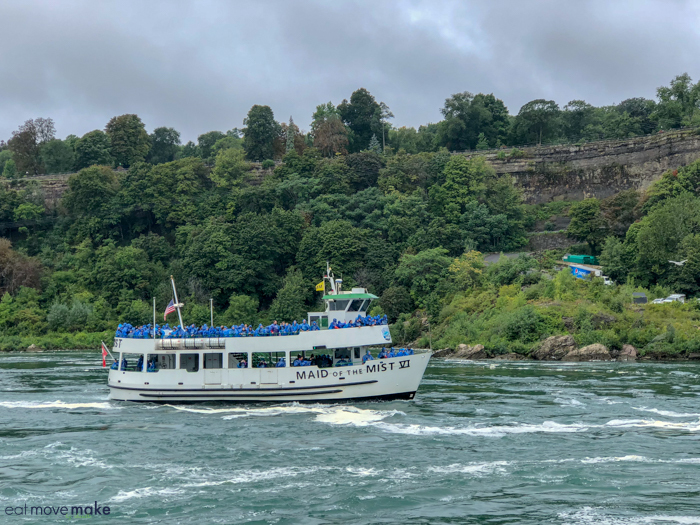 Guests don blue ponchos and climb aboard the Maid of the Mist, a boat that’s been sailing since 1846. In about 30 minutes paired with a bit of narration, you’ll get close enough to the falls to get “misted” and when I say misted, I actually mean “wet”. 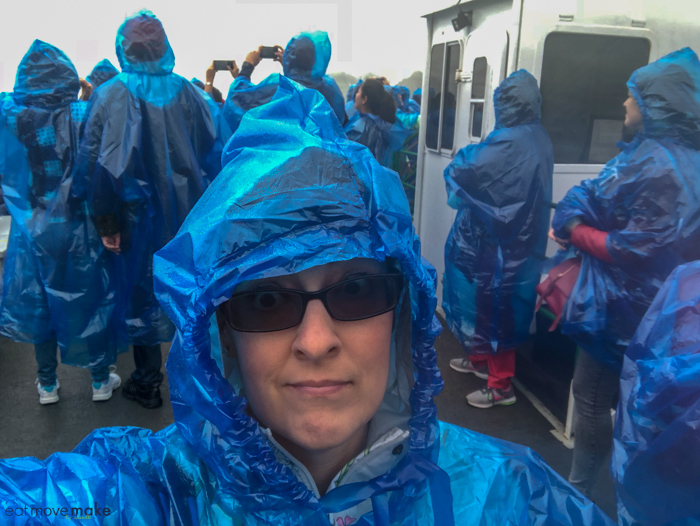 Although they do provide ponchos, if you have any rain gear of your own, it’s a good idea to wear it. 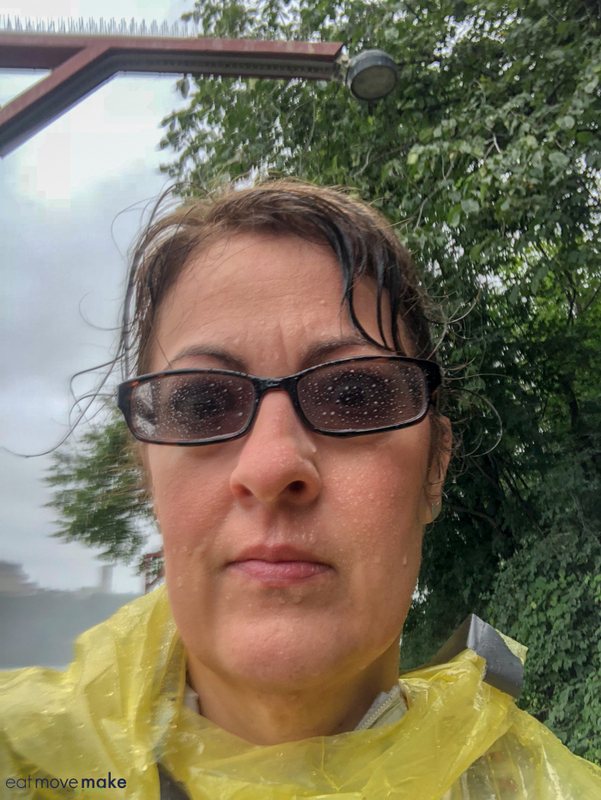 I had a waterproof raincoat on under my poncho and it helped a lot! 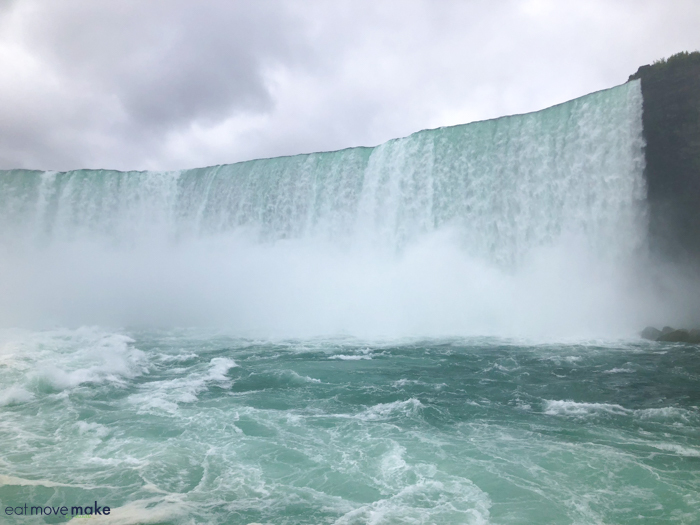 Tip: For the best (and wettest) view of Horseshoe Falls stand at the bow of the boat. 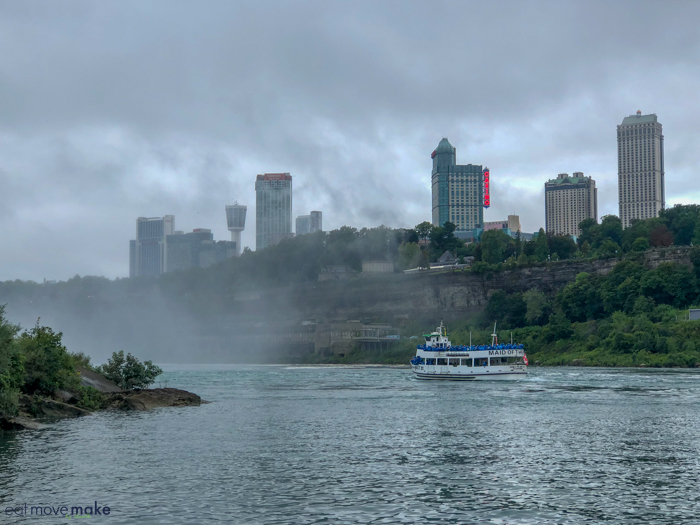 If you stand on the left side, you’ll see American Falls and Bridal Veil Falls shortly after setting sail. 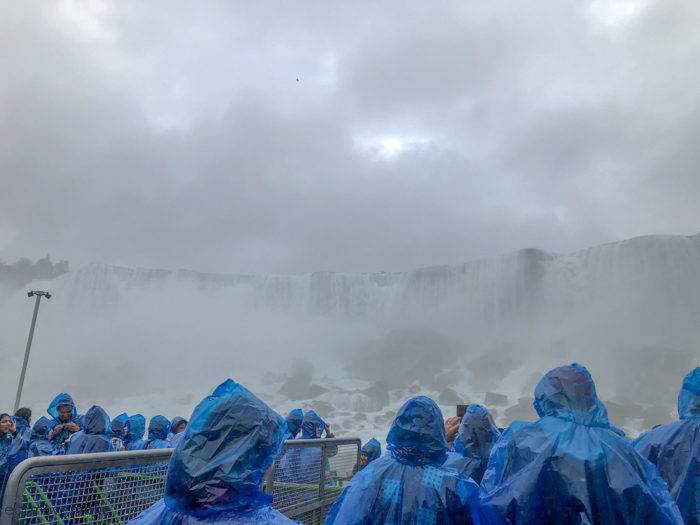 Stand on the right side for a panoramic view of Horseshoe Falls and a returning view of American Falls and Bridal Veil Falls. 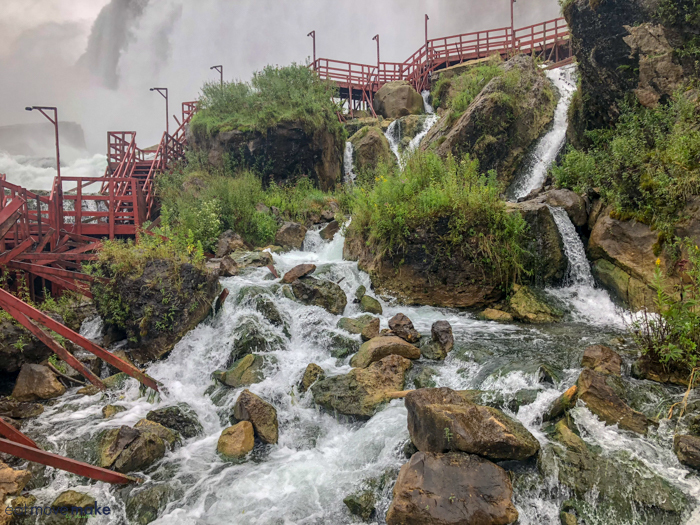 Before descending the elevator to where the Maid of the Mist boats depart, take a few minutes to stop at the Observation Tower and take in an amazing panoramic view of all three Falls. Great selfie spot! 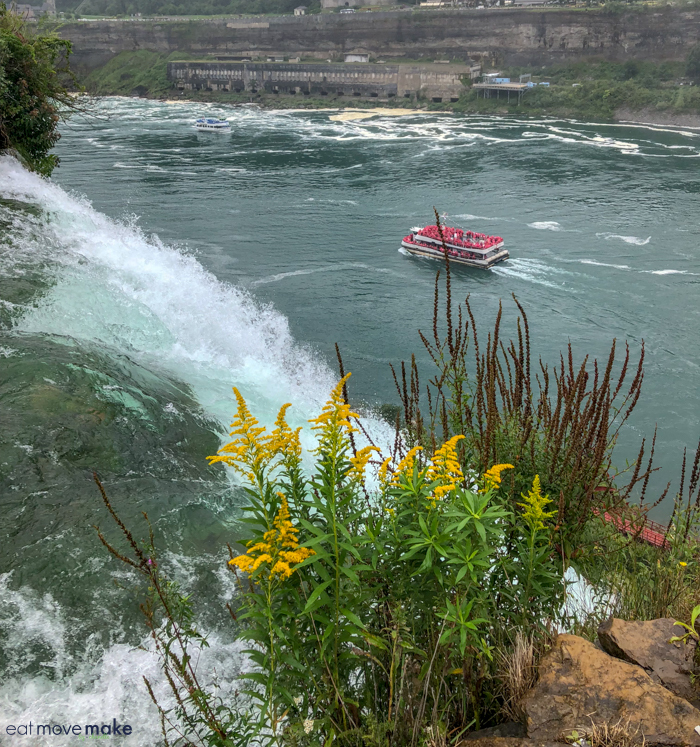 After your boat ride, take the stairs from the base of the gorge to the Crow’s Nest for another perspective of the Falls. The stairs are somewhat narrow and slick and once you reach the top for the photo ops, you’ll head back down the same stairway to return. 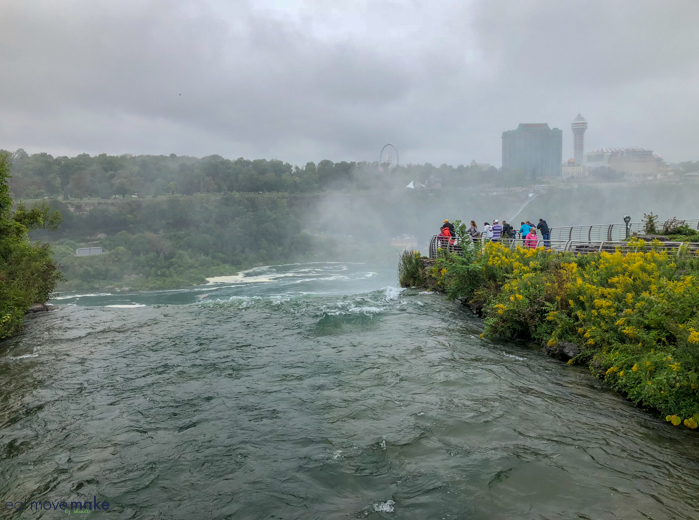 This tiny little island in between Bridal Veil Falls and American Falls has an overlook with great views of the rapids and both Falls. 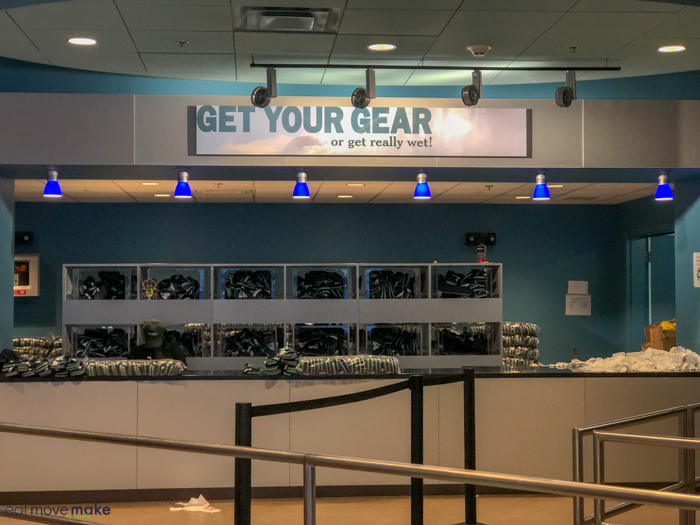 You’ll be provided with a poncho and special sandals, but you’re going to get wet. An elevator takes you 175 feet down into the gorge and from that point, it’s all up to you how drenched you get. 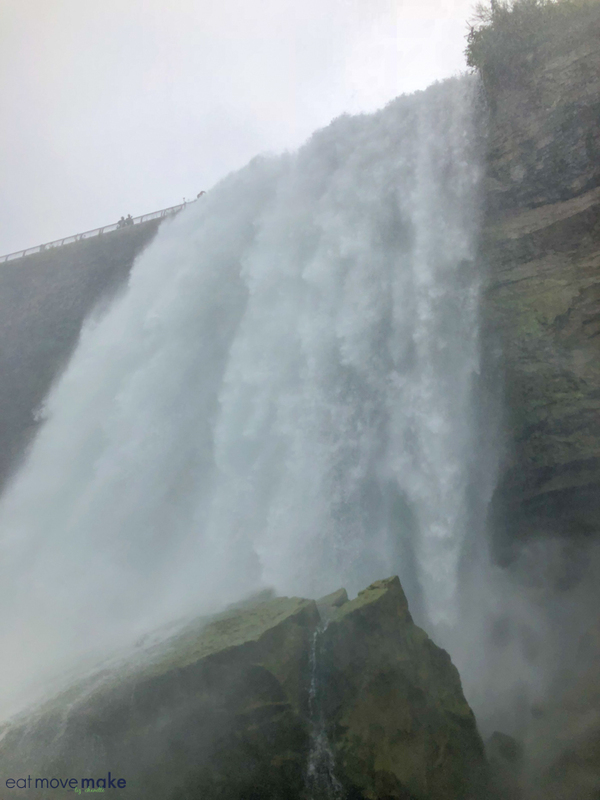 If you really want to do the experience to its fullest, you’ll get right next to Bridal Veil Falls and it’s wild, wet and windy. 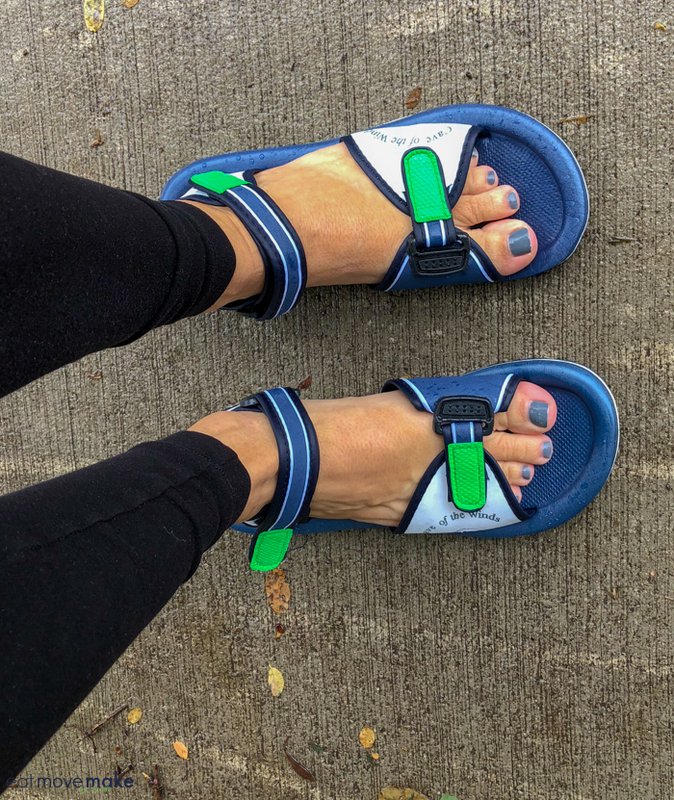 The special sandals will help prevent you from slipping on the wet stairs, but do hold on! It’s windy and water is spraying everywhere. 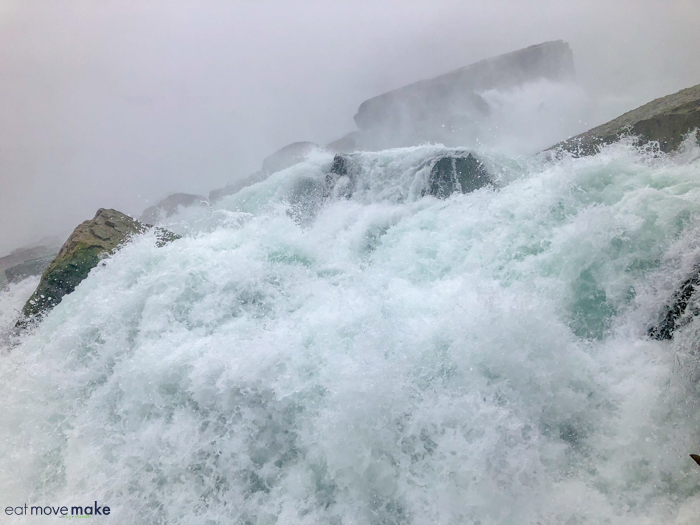 The thundering roar and power of the Falls rushing past you is positively thrilling! 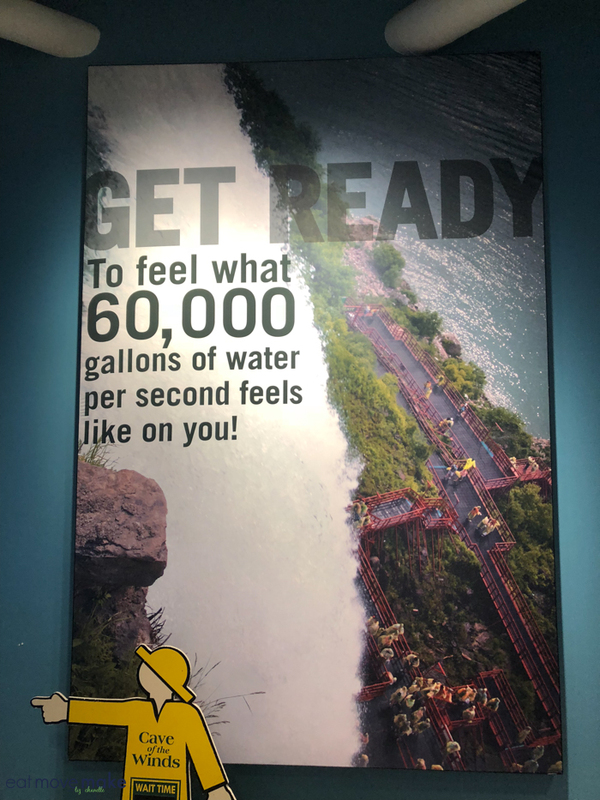 With each level you ascend toward the falls, you get closer and wetter until you finally reach the hurricane deck where it feels like you entered, well, a hurricane. 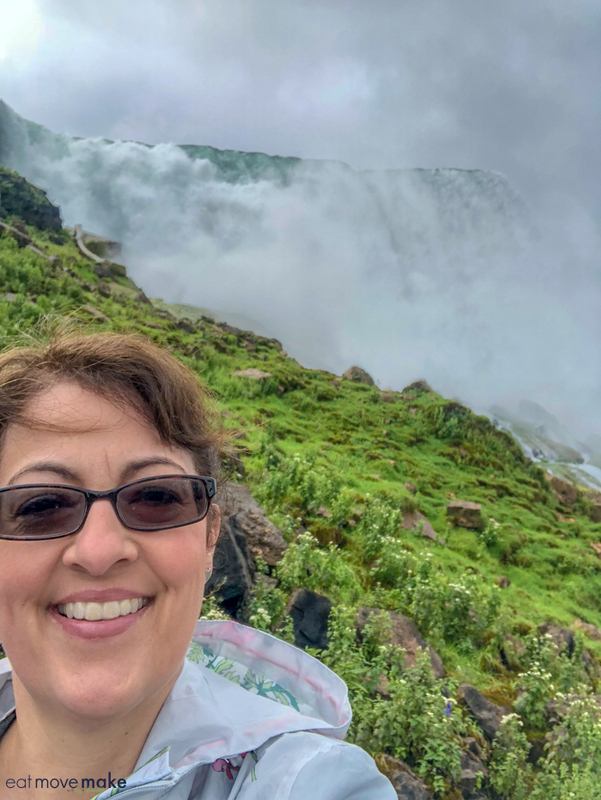 I was soaked when I left, but it was absolutely worth it to be right next to massive Niagara Falls. I loved it! The higher you go, the wetter you get. 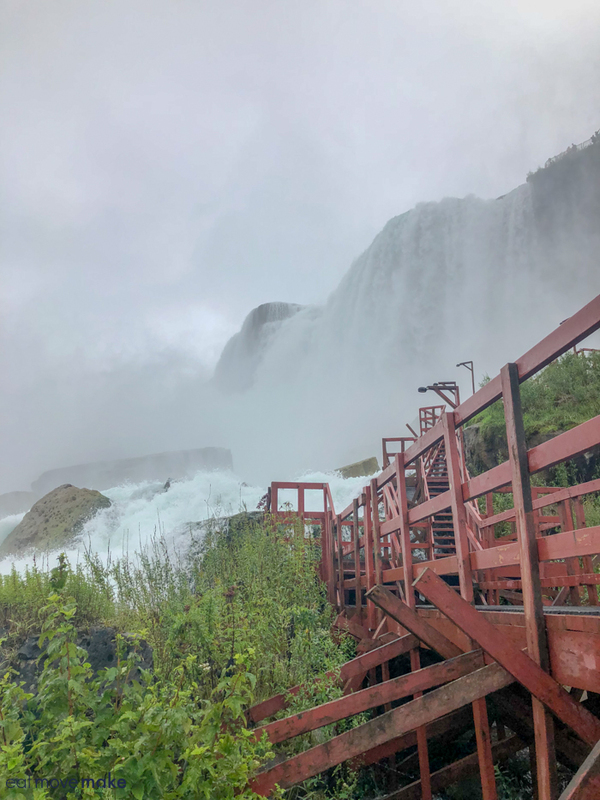 I recommend you go all the way to the top – the Hurricane Deck! 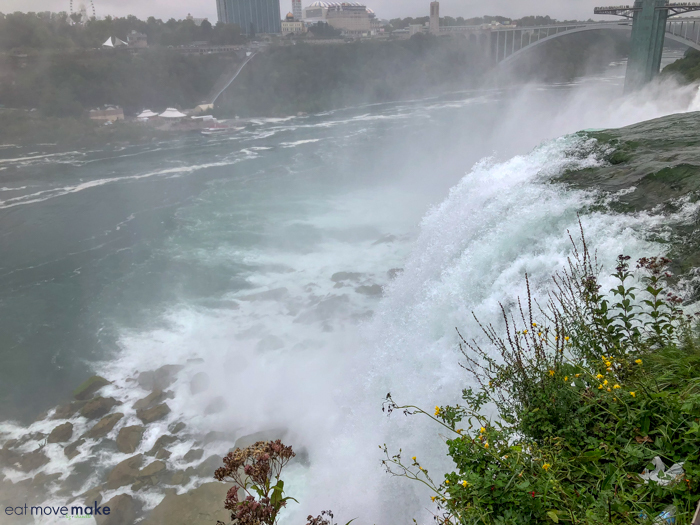 This 30-minute IMAX movie is a waterproof way to experience the power of Niagara Falls, or just to take a break from the mist and moisture. 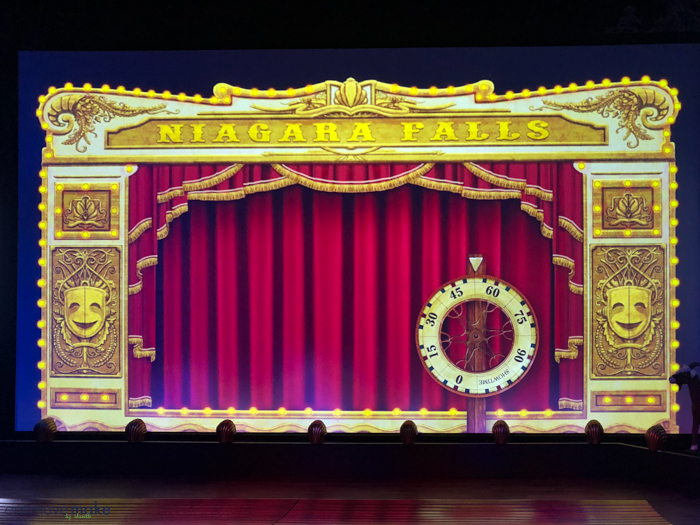 If you purchase the Niagara USA Discovery Pass like I did, admission to the film is included, and I’m really glad I took the time to see it, hear it and feel it through the big screen surround sound experience. 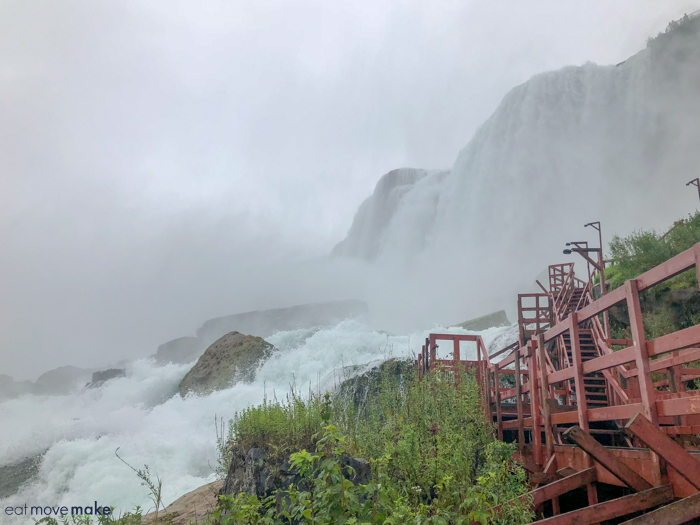 If you haven’t heard the legend of the Maid of the Mist, the movie tells the fascinating tale along with stories of some of the daredevil attempts to cross the gorge and barrel-ride over the falls. 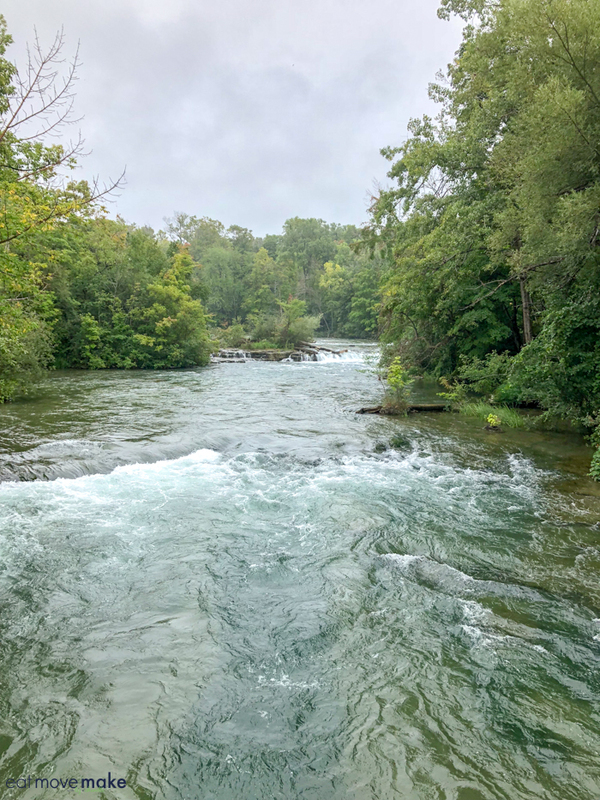 There’s also a bit of history on the formation of the Niagara River Gorge and development of the Falls, including how they’ve been harnessed for energy. Pin this post for travel inspo! 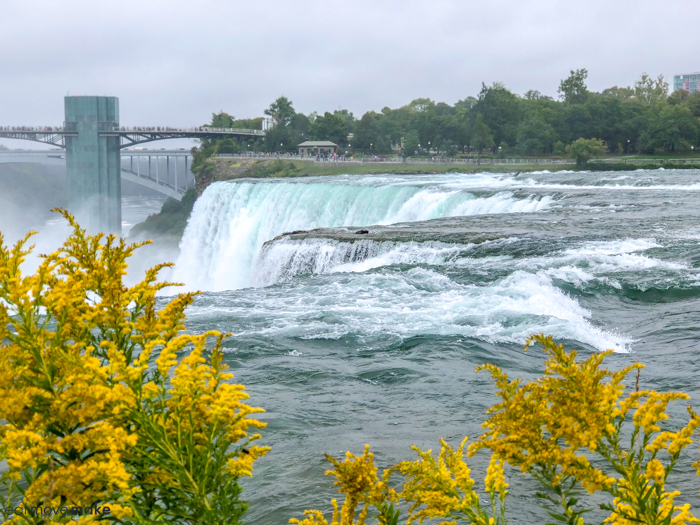 To help you plan your own Niagara Falls State Park trip and for an official travel guide, reach out Niagara Falls USA Tourism. I can’t wait to go back and experience it all again! I’d like to be on that Observation spot! 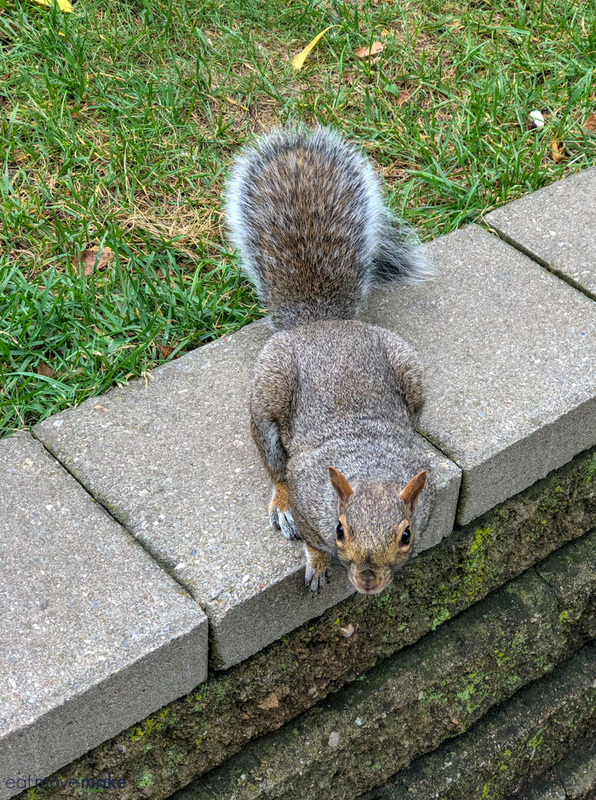 I love the shot you got of the squirrel. One of my upcoming paintings is going to have a squirrel in it. This is on my bucketlist. 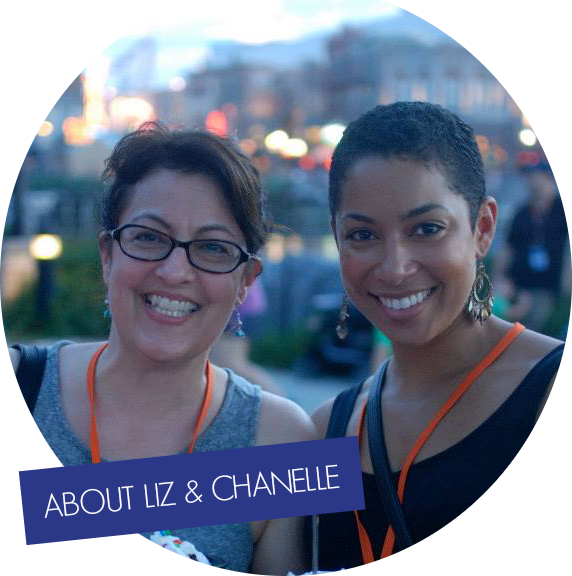 You had a wonderful time love your recap! It is one of my dream to see this! My parents will have a chance to visit Niagara Falls next year, I will share this with them. Loved your pictures! Such a beautiful experience! Added to my bucket list! How exciting! Your pictures are amazing. I’ve never been but would love to experience it. I have been to the falls at night but we didn’t do any of the activities. It looks so awesome. What a beautiful experience! I am so glad that you shared it with us! Wow! What an amazing experience. I love all your photos. One day I really hope to go there… thanks for all the detailed advice. I’ve pinned your post for later. 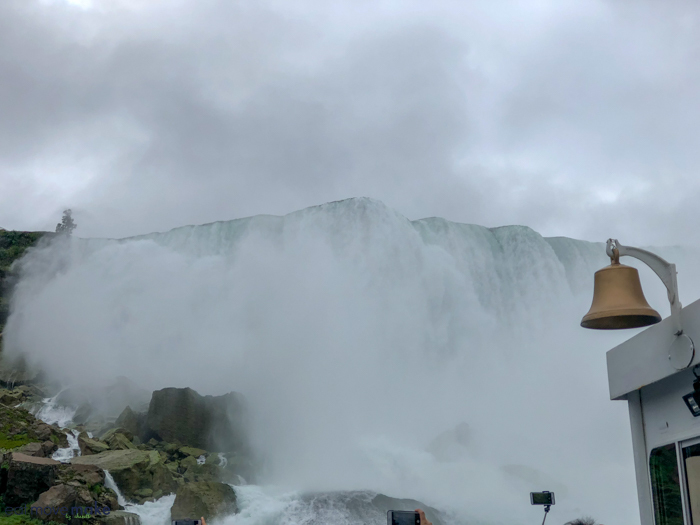 I have been to Niagra Falls a few times, but I have never been in the Maid of the Mist. This experience looks amazing, and yes, I would want to be geared up for it, too. This is one of those places we want to go as a family, now that the kids are older. It’s several hours drive from us, so travel is not an issue. All the pictures you posted really captures the beauty of the falls. This is one of the Adventures on my wish list. Would love to go and spend some time there exploring. 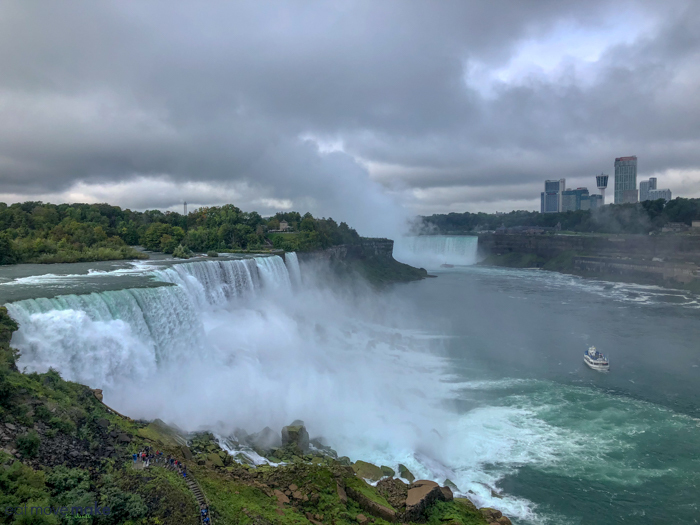 So…I have driven by Niagara Falls countless time as my kids go to college in Canada and I fly to Buffalo and drive to Toronto. BUT, I have never been to the Falls! I’ve never even seen the Falls! After seeing this, I have to GO!